Enter your email address to subscribe to AHTR and receive notifications of new posts by email. This article can be read as a supplement to my previous article a year ago for this website. This year, I’ve developed three new resources on my website at www.ktpress.co.uk which I hope will extend the range of access, possibility and topics for students and teachers working on contemporary art and feminism. Perhaps writing that article also helped me focus on some problems in how feminist art is introduced into the curriculum and why it is so difficult for students to engage or develop their evident interest in women artists’ production. Certainly, given Anne Swartz’s comments in another article on this site, my work is focused on thinking about how any art class on post-World War II art or contemporary art must include attention to either art informed by feminism (as Mary Kelly describes it) or feminist art (if there is a category of such rather than a continuous and active engagement between art and feminism). I am also not in favour of a method of teaching in which discussion of feminism in contemporary art classes is reduced to a handful of key examples – which seem to indicate all there is to say about the territory – specifically a re-reading of the themes of body, identity and women’s sexuality – which although these frequently serve as an introduction to this subject, sometimes act as a closure – a fait accompli (a problem which the current feminist art class model on this site could fall into). 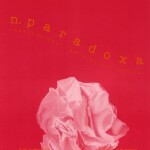 After more than 40 years of research into and about the subject of feminist art, contemporary art informed by feminism, and feminist issues present in contemporary art (3 different kinds of territory which it is necessary to explore), there are not just one, but many excellent books to read on these questions. There are many internet resources, like the Feminist Art Database at the Sackler Centre, or the Re-Act Feminism archive on women’s performance art to explore and many videos and films – not least Lynn Hershmann Leeson’s excellent film, !Women, Art and Revolution and the large archive of transcribed interviews online at Stanford’s library: https://lib.stanford.edu/women–art–revolution/ (Several hundred are listed on www.ktpress.co.uk). I was also really thinking about where students can go after that single lecture, the introductory pointer, to find out more – especially if that is all they are going to get in a survey course method of teaching and not in a specialist course or module. If only a handful of works were ever introduced to students and these were centred on body, sexuality and identity and no other work was introduced which considered any other agenda, then a self-fulfilling prophesy of the limits of feminist art has been introduced. How do they then go on to find other women artists to write about and research, and so develop a broader framework for their next assignment, extended essay, or an initial design for their dissertation (since in the UK, we have third year BA Fine Art dissertations as well as MA extended essays). Where do they access the “more” and that knowledge of what’s already been done, that will enable them to develop their knowledge about feminism? Certainly this is a problem that my students grapple with when it comes to choosing a topic for their essays. Sometimes, I feel that we are stuck at the level of the early 1980s when I read their assignments, as their engagement is, at best, an initial grasp of what happened in terms of the early to mid-1970s. I also wanted to encourage students to make connections between artworks and potential frameworks for interpretation in new and exciting ways. Central to this, is the recognition of the correspondences between broader feminist agendas– often positioned on women’s studies courses as “feminist theory”, US Third world feminisms, feminist post-colonial theory, or feminism and global development – and women artists’ art production in the last four decades as central, not marginal, to any definition of contemporary art. Challenging this current state of affairs lay behind my latest project on feminist art topics – a curated list of 940 contemporary artworks by women artists on 30 topics in feminist art (1960-present) at http://www.ktpress.co.uk/feminist-art-works-topic-intro.asp. This was written over the summer and has just been launched online. There are many caveats about why this list takes the form it does, and how so many artworks still represent only a drop in the ocean of what it might be possible to discuss or develop in the future. No artist, for example, ever produces only one work! This is not a canon and not a top ten, or even a top 100, which is a common journalistic trope! First, this list is thematic and all the works on the list have a strong visual reference to the topic against which they are positioned. For this reason, very few abstract works are included – and there is so much more that could be said about women artists’ involvement in abstraction over the same period (more room for future development of this idea!). Second, thinking thematically fosters the issue-based approach which is central to feminist debate and avoids pigeon-holing the works into the various movements: pop art, pattern art, minimal, conceptual, post-conceptual, neo-expressionist, performance art, land art, etc, all of which are present in the works discussed across these lists but which most “contemporary art” analyses use as reference points. The artworks listed could easily be taken as works produced by the female representatives of any one of these tendencies – but if we do this, then we are reinventing the same pattern of exclusion and need to revalidate and “recover” women that women artists encountered within modernism –even after the male dominance of all these “movements” has been intensively questioned by feminist art history since the 1970s. Third, there are many other works I could have chosen to include but I stuck to looking at key feminist texts and exhibitions which students could easily encounter, and I deliberately constructed as transnational a list as I could from these, coupled with a historical progression of works produced at different moments post-1970 (with a few historical precedents!). While this list may be my construction, it deliberately draws on the research and efforts of many different women in discussing, exhibiting and encouraging us all to look at these art works. I also wanted to consider more positively how the internet can be used as a tool for encouraging research – so these works are linked to the artist’s websites where their work is documented or to the museum collection pages where the work is housed. No images are reproduced on ktpress’ website – students must click through to find the works online from the details given. In making this project, I did encounter a gap in the internet’s facility as an image databank, especially compared to the literature, that is, in images of artworks from the 1980s. The internet developed as a tool in the mid-1990s and it is still far from a library of all libraries, in spite of our contemporary reliance on it as a tool of cultural memory and fact-checking. It is interesting how so many artists do not have their own websites, either because they never built them or their contract with a gallery forbids it. This and the art world’s use of the internet as a current publicity machine (not an archive) have tied documentation to the last decade, foreclosing documentation of earlier works, especially when they have not been “recovered” in recent exhibitions. Many institutions do not fully document online their own exhibition histories, so much early documentation has been deleted. This problem is in addition to the typical problem of copyright in images, which the world of picture-posting sites and blogs is making obsolescent, even in museums where photography is forbidden, even if none of these observe the art historical niceties of the correct name or date for works and artists! Another attempt to use the changing face of the internet as a research tool, was my work with Frances Hatherley, compiling a database of 1000+ MA and PhDs on feminist art, awarded from 1970 to the present in 35 countries http://www.ktpress.co.uk/feminist-art-theses.asp. This resource is linked to the information page or the PDF about that thesis, if it is held in a University repository or online collection. Why, I asked myself, are we not developing our research on the basis of what has already been done? With the expansion of University repositories as online resources for PhD and MA’s this will become possible but using Google as a search engine remains inadequate because of the failure of people to supply basic metadata to their documents. This underpins why we are not fully aware of what’s out there already? In addition, much of the research of students in early dissertations in the 1970s and 1980s is not in these online repositories because the theses were not kept, were not in digital form or were never recently digitised. There are many interesting tendencies that can be discerned through looking across the time frames as well as the work taking place in specific countries and Universities. Certain themes arose repeatedly in these topics on a trans-national basis: namely, a concentration on the body in discussions of feminist art. However, something else is going on, as looking through this list, you can discover works on similar topics in Taiwan, in Mexico, in Italy, in Germany, in South Africa: but in every case, completely different works and local artists were discussed. So, the possibilities of strong trans-national discussion remains to be developed. 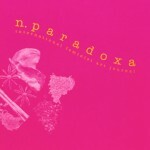 And finally to develop use of n.paradoxa: international feminist art journal which is the original purpose of the site and to “conform” to new models for academic requirements for journals (developed by Google Scholar, ERIH and many other agencies), n.paradoxa has introduced abstracts for all its 500+ articles published in 36 volumes since 1998. This is in addition to our full-text search facility which allows searching for words in all PDFs of the journal. 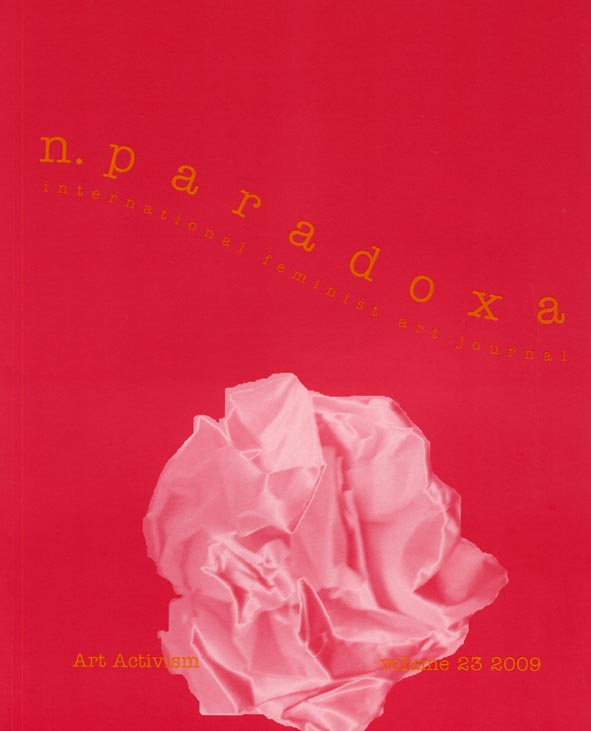 All abstracts are available to read on the internet, prior to purchase: http://www.ktpress.co.uk/nparadoxa-volume-details.asp These abstracts are then linked to instances where the artworks or the artists from the feminist art topics project have been discussed. 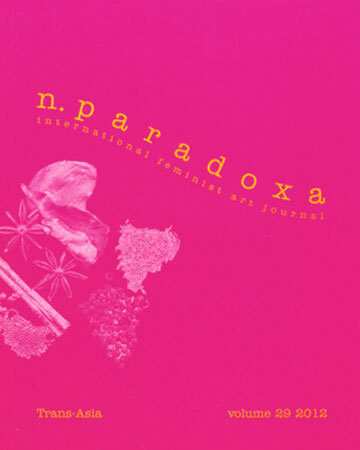 The site has had, since it started in December 1996, the most extensive booklists and information pages on feminist art, including its listing of international feminist art exhibitions, that can be found online. The topics and theses project are an extension of this work. I must emphasize how important these resources Katy Deepwell has created are–in teaching and for research. I have been referring students to them and have used them myself for references. And I agree about Katy’s point about feminist readings of abstraction having so much potential for future dialogue. What she is created is immensely important, but there is definitely room for more (and I look forward to her future installments). ArtHistoryTeachingResources.org is licensed under a Creative Commons Attribution-NonCommercial 4.0 International License. AHTR is grateful for funding from the Samuel H. Kress Foundation and the CUNY Graduate Center.